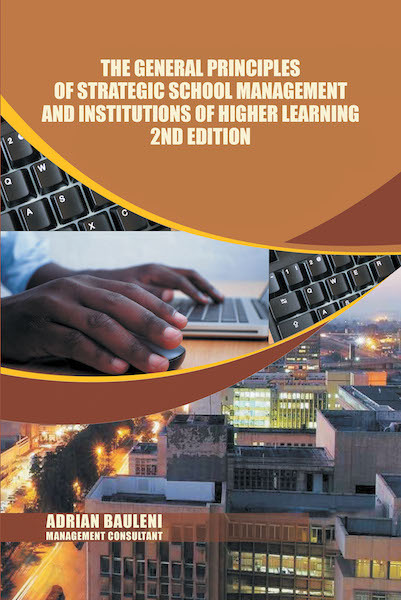 This book on “The General Principles of School Management and Institutions of Higher Learning is a high-profile text which has been described as a masterpiece in the field of educational Management by the three evaluators of the manuscript and those who have accessed and made use of the book particularly the Universities and Colleges of Education. As a result, there has been sustainable demand for the book after the two thousand copies were sold out sometime back. This is a clear manifestation of how unique the book has been as was described by the three evaluators in that regard. The book has therefore, made a remarkable contribution toward improved service delivery in schools and institutions of higher learning. There is no shadow of doubt therefore, that given an opportunity to study the contents of the text, the outcome in providing management development skills, if properly assimilated would be incredibly phenomenal for efficient running of the learning institutions. “Further the author as a high-profile personality in society, has authored several books on a variety of disciplines inclusive of the professional articles on general management philosophy which have contributed toward management thought and practice within the purview of the wider spectrum of the subject matter”.